This image from NASA’s Chandra X-ray Observatory shows G1.9+0.3, a supernova remnant in the Milky Way located in the constellation Sagittarius. G1.9+0.3 lies about 27,700 light years from Earth and spans some 30 light-years. Image credit: NASA/CXC/CfA/S.Chakraborti et al. 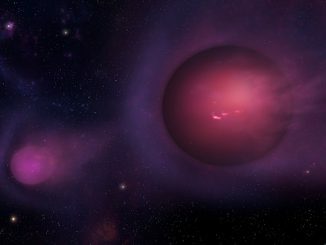 Scientists have used data from NASA’s Chandra X-ray Observatory and the NSF’s Jansky Very Large Array to determine the likely trigger for the most recent supernova in the Milky Way. They applied a new technique that could have implications for understanding other Type Ia supernovae, a class of stellar explosions that scientists use to determine the expansion rate of the universe. Astronomers had previously identified G1.9+0.3 as the remnant of the most recent supernova in our galaxy. It is estimated to have occurred about 110 years ago in a dusty region of the galaxy that blocked visible light from reaching Earth. G1.9+0.3 belongs to the Type Ia category, an important class of supernovae exhibiting reliable patterns in their brightness that make them valuable tools for measuring the rate at which the universe is expanding. Most scientists agree that Type Ia supernovae occur when white dwarfs, the dense remnants of Sun-like stars that have run out of fuel, explode. 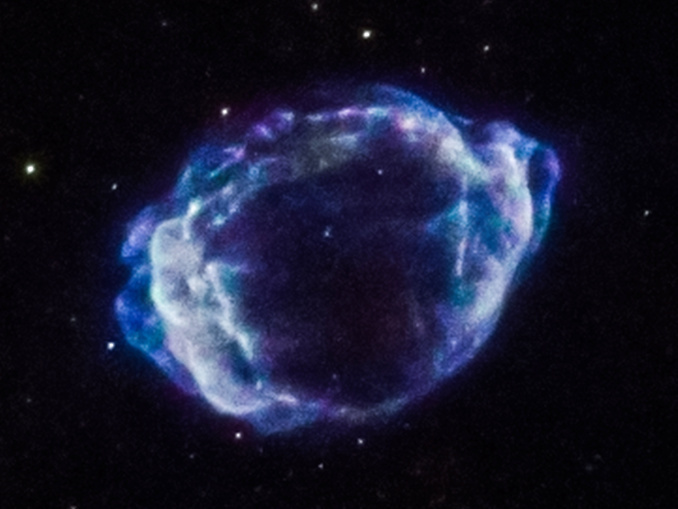 However, there has been a debate over what triggers these white dwarf explosions. Two primary ideas are the accumulation of material onto a white dwarf from a companion star or the violent merger of two white dwarfs. The new research with archival Chandra and VLA data examines how the expanding supernova remnant G1.9+0.3 interacts with the gas and dust surrounding the explosion. The resulting radio and X-ray emission provide clues as to the cause of the explosion. In particular, an increase in X-ray and radio brightness of the supernova remnant with time, according to theoretical work by Chakraborti’s team, is expected only if a white dwarf merger took place. “We observed that the X-ray and radio brightness increased with time, so the data point strongly to a collision between two white dwarfs as being the trigger for the supernova explosion in G1.9+0.3,” said co-author Francesca Childs, also of Harvard. The result implies that Type Ia supernovae are either all caused by white dwarf collisions, or are caused by a mixture of white dwarf collisions and the mechanism where the white dwarf pulls material from a companion star. The team also derived a new estimate for the age of the supernova remnant of about 110 years, younger than previous estimates of about 150 years. More progress on understanding the trigger mechanism should come from studying Type Ia supernovae in nearby galaxies, using the increased sensitivity provided by a recent upgrade to the VLA. 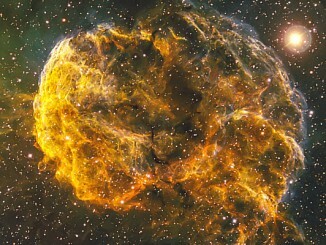 The Jellyfish Nebula, also known by its official name IC 443, is the remnant of a supernova lying 5,000 light-years from Earth. New observations from NASA’s Chandra X-ray Observatory show that the explosion that created the Jellyfish Nebula may have also formed a peculiar object located on the southern edge of the remnant. 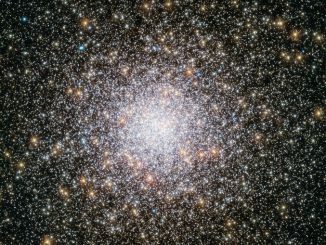 Globular clusters offer some of the most spectacular sights in the night sky. These ornate spheres contain hundreds of thousands of stars, and reside in the outskirts of galaxies. The Milky Way contains over 150 such clusters — and the example shown in this NASA/ESA Hubble Space Telescope image, named NGC 362, is one of the most unusual ones.